The world's most improbable video game? How a team at USC brought the classic book to PS4. Hey there, PlayStation gamers! What’s your favorite book of all time? Well, one of mine has always been Henry David Thoreau’s book Walden, or life in the woods. I know a lot of people read this book in high school, but what if you could play it instead? That’s the idea behind Walden, a game, which is a project my team and I at the USC Game Innovation Lab have been working on for ten years that is finally coming to PlayStation! The game puts you into the role of a young Henry Thoreau, as he learns to live in the woods, finding food and fuel, building a shelter and more. 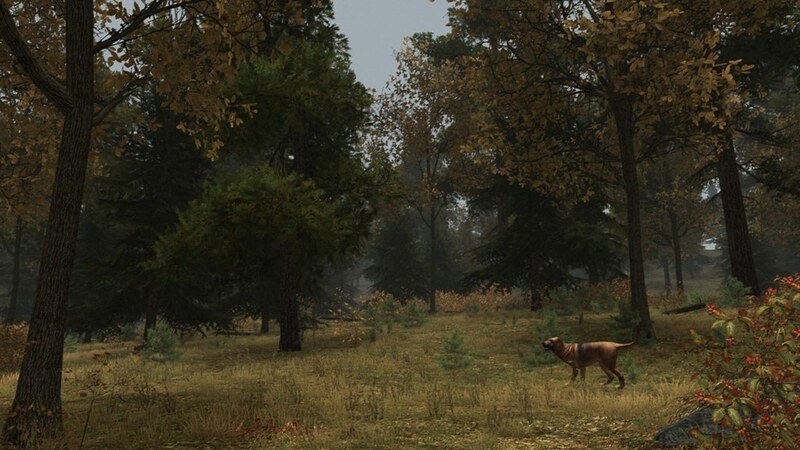 It starts in the summer, when living is easy, but as the seasons pass, our dynamic and deeply detailed environment changes and you will need to develop new strategies for survival in the woods. But that’s just part of Thoreau’s adventure. He didn’t want to just survive in the woods; he wanted to seek out inspiration in nature and in the ideas he went there to think about. If you want to truly succeed at his experiment, you’ll need to learn how to balance your basic needs for survival with your quest for inspiration. In order to translate this classic book into a playing game, the team dug deep into research about the pond, the woods, and Thoreau’s life and times. We worked with the historians at the Thoreau Institute at Walden Pond to make sure the details of our world were correct. We visited the pond in every season, taking photographs of all the plants and trees. And, our sound designer recorded all the sounds on location at the pond: all the birds and insects and even the footsteps you hear as you explore the pond. We took our inspiration for the game system from the first two chapters of the book: “Economy” and “Where I Lived and What I Lived For” and built our underlying survival simulation based on these descriptions of Thoreau’s daily life at the pond. Beyond basic survival, we also wanted our large, open world to offer players the chance to find inspiration at the pond, much like Thoreau did. So, we took ideas from chapters like “Sounds,“ “Solitude,” “Visitors,” and “Reading” to build our simulation of how you might seek out inspiration during your time at Walden. The more you seek and find inspiration, the richer and more colorful the game world will become, and the more opportunities will open up in the game. If you just work all day at surviving, however, your world will become colorless and grey. It’s all about finding a balance between survival and the sublime. The team also wanted to bring Thoreau’s interesting backstory to life, and so we created a number of narrative quest lines that reveal the hidden reasons that this enigmatic writer went to live alone at the pond. 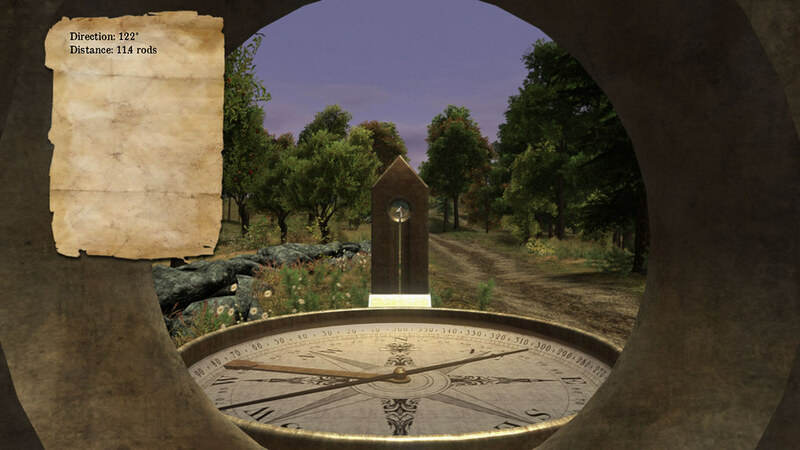 Depending on how you choose to live in this virtual Walden, you may discover some or all of these storylines. I hope you all challenge yourselves to spend some time at Walden when it comes to PS4 on May 15! Never read the book but this still like an interesting idea for a game. Really intrigued by what “finding your inspiration” means. I’ll have to check this out. Hope you get a chance to play and to read the book one of these days. I find that people have trouble with the book because of its style, but it has a lot of ideas in it that really ring true today. Thanks for checking it out! This game sounds absolutely amazing! I know other games have been inspired by literature to bring about dynamic experiences, but I really respect and appreciate how this game will be bringing to life the book and the author who wrote it. Awesome! Thanks vectorman88!! We’re a tiny team and your encouragement means a ton to us all!! Hope you enjoy it! We’re definitely thinking about VR! We’ve got such a tiny team, it will all depend on how long people are able to work on the project! Far too often I find myself wishing I could go back to the days where one could just up and head off into the woods and live a life of solitude to find what they are truly searching for. Sadly work prevents me from doing that but I also get paid on the 15th so I’ll take what I can get. Looking forward to trying it out! Hey xBarbarikDavex13, that’s exactly how I was feeling when I decided to make the game :) Hope you enjoy it! Hey, amazing looking game! I was wondering if there is an ending to the game, or could one theoretically survive forever, going through the different seasons over and over, or will the game just end once you’ve survived all 4 seasons? thanks! Yes this sounds awesome. I think it fits an underserved niche. I’ll definitely look out for this. Yeah, not to many open world literature games out there, lol! Thanks for checking it out, hope you enjoy! What a thoroughly intriguing concept! As a writer, this appears to be something that’d sweep me up. Thank you for creating something truly unique in this age of banality. Hi Otterpoet! Thanks for the comment! One of the things that we put into th game is a journal, where you collect al the insights you find in the world, so you wind up creating your own, procedural version of Walden as you play. I thought you might like that idea, as a writer. Hope you get a chance to check it out and enjoy it! Awesome, GeeLW! Thanks for the support! One of our hopes is that playing the game will make the book more interesting, especially to folks who have not read it yet. It’s a pretty important book, especially today, and Thoreau is talking about a lot of the same things that we are now, so glad to hear you think it might inspire folks to check it out! First-day buy for me. What a fantastic idea. Maybe a Kafka game next? Or Vonnegut? Let’s make this a trend! Oooh, I love it — two of my other favorite writers! Would love to see a whole genre of games based on cool books! Downloading now. Can’t wait for some peaceful time to play. Really like the price.